Care2 Healthy Living | Daily Cute: This Bunny is Almost too Cute to Be True! 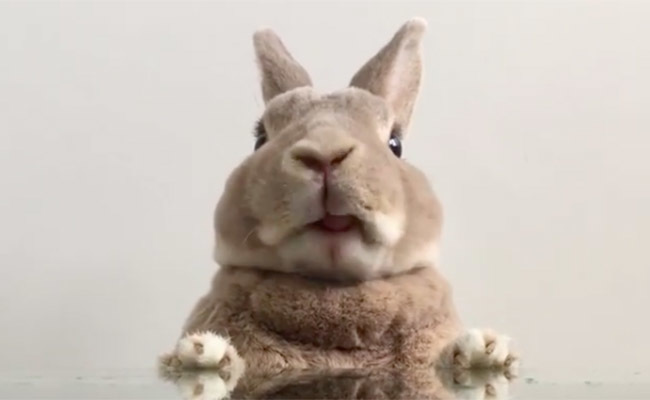 Daily Cute: This Bunny is Almost too Cute to Be True! Instagram bunny star @and_olive_ has the softest fur – she almost looks like a doll! But as you can see in this video, she’s very real. And precious! Haha, like a mechanical plush toy, very funny especially mirrored. Must be delightful to cuddle, if the rabbit is into that. OH, MY, MAY I HAVE ONE OR A COUPLE! !